An explosive device was found on Monday in a mailbox at the Westchester County home of George Soros, the billionaire philanthropist who is a favorite target of right-wing groups, the authorities said. 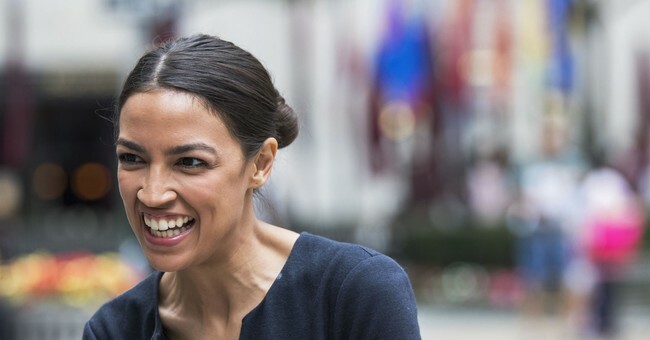 Federal and state law enforcement officials responded to the scene in Katonah, N.Y., a hamlet in the upscale town of Bedford in northern Westchester, after the Bedford Police Department received a call about a suspicious package at about 3:45 p.m.
Soros was not at home, but upcoming left-winger and future congresswoman Alexandria Ocasio-Cortez didn’t let a crisis go to waste in taking a swipe at Republicans. Here is where she shows she’s just as clueless on current events, as she is promoting her whacky economic agenda for which she has no clue for how it will be paid. She supposedly has an economic degree; maybe she fell asleep during those classes. Her take on this Soros bombing attempt is a textbook example of someone with zero self-awareness. “When the right increasingly mischaracterizes nonviolent civil disobedience as ‘violence,’ they provoke actual, targeted attempts to harm others,” she tweeted. “Language is powerful. As leaders with platforms, spreading mistruths with the goal of generating suspicion or hate towards individuals or groups is profoundly irresponsible,” she added. Are you that dense, lady? Guy aptly noted Rep. Steve Scalise (R-LA), and other GOP members of Congress who were targeted for assassination by a Bernie Sanders volunteer, James Hodgkinson. The only saving grace was that he was a bad, bad shot, but reportedly said, “this is for health care,” as he opened fire on Republican members of Congress. Scalise is a member of the House leadership and had a Capitol Police detail when the attack began last year. Hodgkinson was killed by law enforcement. The liberal media blamed Scalisefor causing the shooting due to his political beliefs. House Majority Leader Kevin McCarthy’s office in California was vandalized on Monday, according to an Instagram post by the Congressman. McCarthy, whose local office is in Bakersfield, CA, posted photos of the suspects and some of the damage. Two young men were caught on surveillance camera outside of the office, which had its window smashed in by a large boulder. “Does anyone know these two guys? They threw a boulder thru our office window and took office equipment,” McCarthy wrote on his Instagram account. You also have the violent antic of Antifa. The Left has become a mob. They’re harassing Republicans everywhere, which by the way—won’t win them votes but it’s all about the feelings with this crew of lefties. The Soros bomb threat is serious and should be condemned, but to treat this as a GOP-only phenomenon is laughable. It’s almost as comical as democratic socialism.